Praised for her “note perfect and thrilling” performances (Saratoga Times Union) as well as her “captivating” (Pittsburgh in the Round) and “exquisitely plush” voice (Boston Performing Arts Examiner), rising star soprano Natalie Polito is enjoying a busy career on the country’s finest opera and concert stages. Ms. Polito makes her Carnegie Hall debut in December of 2018 as Soprano Soloist in the Beethoven Choral Fantasy, presented by Distinguished Concerts International New York (DCINY). Ms. Polito has been heard in her signature, show stopping role of the Queen of the Night in The Magic Flute with Opera Saratoga, Houston’s Opera in the Heights, the Erie Chamber Orchestra, and under the baton of Martin Katz with the Master Players Concert Series in Delaware. 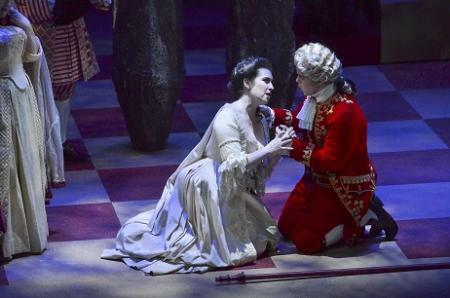 Called "a revelation as Violetta" by The Patriot Ledger, Ms. Polito is also quickly establishing herself as a young Verdi soprano to watch, most recently as Violetta with both Opera Providence and First Coast Opera in St. Augustine, FL. 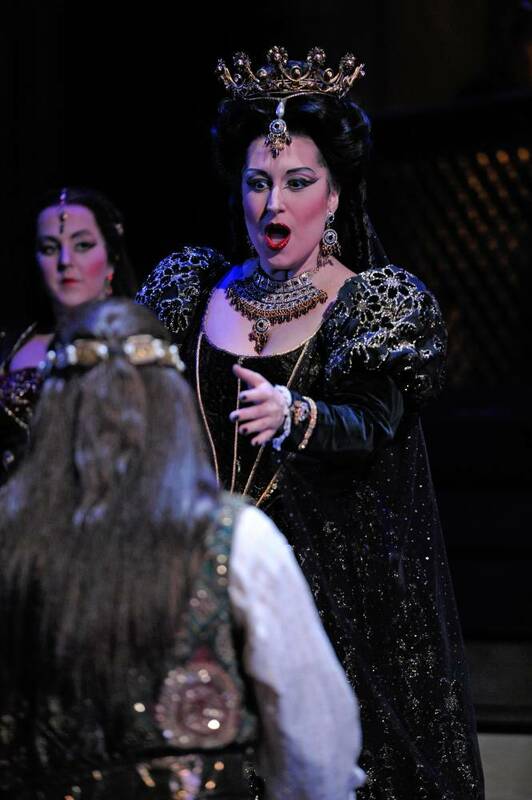 During the 2017-2018 season, Ms. Polito made role debuts as Nedda in I Pagliacci with Boheme Opera New Jersey and as the Foreign Princess in Rusalka with Resonance Works Pittsburgh, and joined Opera Fayetteville as a featured artist for their Contemporary Opera Festival, Opera in Bloom. Ms. Polito has made several recent house debuts, including her highly acclaimed Opera Columbus debut as Countess Almaviva in The Marriage of Figaro, her Opera in the Heights debut as Musetta in La Boheme, her LoftOpera and NYC debut as Alice in Le Comte Ory, performances as Nannetta in Falstaff with Resonance Works Pittsburgh, and as Countess Almaviva in Le nozze di Figaro with the State Repertory Opera of New Jersey. Ms. Polito's other recent performances include a concert of Mozart opera favorites with the Colorado Symphony, First Lady in The Magic Flute and Gretel in Hansel and Gretel with Virginia Opera, the world premiere of Joseph Summer's The Tempest with The Shakespeare Concerts in Boston, Musetta in La Bohème at the Green Mountain Opera Festival, and her international debut in concert at the National Academy of Music in Hanoi, Vietnam. Previous seasons saw Ms. Polito in the title role in The Merry Widow with Cape Cod Opera, Nancy Shedman in the world premiere of Larry Bell’s Holy Ghosts at the Berklee Performance Center, the Soprano Soloist in Handel’s Messiah with both the Stamford Symphony and Commonwealth Opera, The Girl in the premiere of James Yannatos’s Rocket’s Red Blare with Intermezzo Chamber Opera, performances with the Santa Fe Symphony as the Soprano Soloist in Bach’s Cantata No. 51 and Villa Lobos’s Bachianas Brasileiras No. 5, the Soprano Soloist in Vaughan Williams’s A Sea Symphony with the Pioneer Valley Symphony, and an opera gala concert with the Lake Placid Sinfonietta. As a member of Virginia Opera's highly selective Emerging Artist Program from 2012-2013, Ms. Polito made her Virginia Opera debut as the First Bridesmaid and Countess (cover) in Le nozze di Figaro and Stella (cover) in A Streetcar Named Desire. Ms. Polito joined the Santa Fe Opera's prestigious Apprentice Singer Program during the summer of 2011, where she covered Kitty in The Last Savage and Marie in Wozzeck and was heard on the mainstage in scenes from Flight and Idomeneo. Ms. Polito is also an alumna of the Sarasota Opera Apprentice Program, where she covered the Queen of the Night in The Magic Flute, and of the 2009 Studio Artist Program of Opera New Jersey, where she covered Konstanze in Die Entführung aus dem Serail. 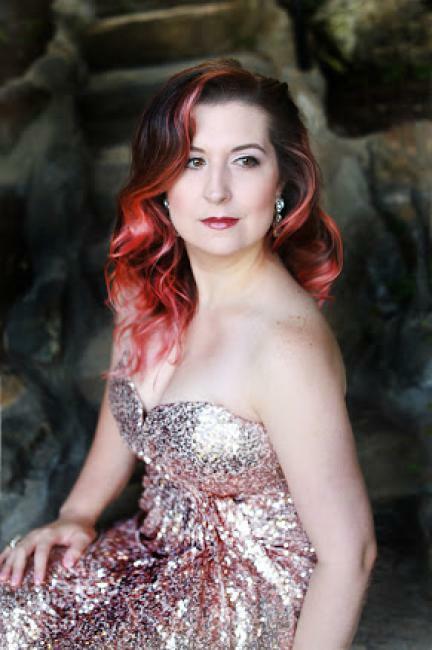 Ms. Polito was a 2018 Finalist in Opera Ithaca’s Edward M. Murray International Competition of Voice, the 2015 winner of the Mario Lanza and Elaine Malbin Vocal Competition in New York City, the 2011 recipient of the Santa Fe Opera’s Lillian Caroff Mayer award, and the winner of the 2010 Sarasota Opera Guild Special Artist Award. She holds an M.M. in Vocal Performance from The Boston Conservatory and a B.M. in Vocal Performance with Honors from Northwestern University. A Chicago native, she currently resides in New York City with her husband, baritone Jeremiah Johnson.